Roy is an Entrepreneur that has started his career in Australia in the Real Estate and construction business. 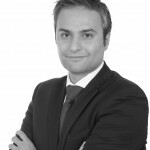 He has since, established some of the Middle East leading Real Estate portals and other business in several industries and in different countries. Today his business reach spans Australia, the Middle East & North Africa and other parts of Europe. 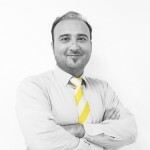 Bassam is a highly experienced real estate sales and marketing professional with over 10 years of experience with leading International and large scale regional companies. Over the past 10 years, Bassam has acquired an immense experience and scored valuable achievements and awards in different fields of the real estate industry crucially in sales and marketing, public relations from both broker and developer’s perspectives. 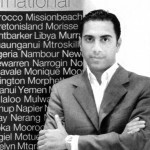 Bassam worked in diverse booming and challenging real estate markets such as UAE, Qatar, USA and Lebanon. He also led the companies he worked for to survive in each of those markets during crisis and downturns. He handled senior managerial positions in real estate sales & marketing with dynamic and growth oriented organizations that offered him a professional working environment and enabled him, as a skillful person to utilize his vast experience and abilities while meeting the organization’s goals. He led international brokerage firms in different markets from start up to being Market Leaders and achieved several industry related awards. Zhanna joined Ray White International in August 2014 as a Marketing Coordinator, monitoring all listings, Video production, in-house graphic design, Digital News Letters, SEO’s, Social Media, Email marketing etc…. Zhanna has a total work experience of 8 years in the field of web and graphic design as well as SEO’S and digital marketing. She works closely with the sales team and management team to drive opportunities and business growth. Develop, execute, and optimize campaigns to drive customer retention, product engagement and retention including customer conferences and seminars. 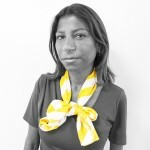 Christy joined Ray White International in August 2014 as Senior support Officer handling Finance and Human Resources. She have a total working experience of 10 years out of which 5 years in the Real Estate / Property Investment sector in UAE. 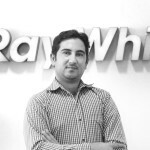 ”I joined Ray White International and happy to be part of this multi-cultural, Dynamic & Optimistic organization”. Saqib, Youngest yet dynamic I T support person under the Ray White Family, with a degree in Bachelor of Information Technology from Kohat University Pakistan, with over 6 years of Experience he is very knowledgeable, quick and a reliable in the field of I T support, He has been the back end support seeing our infrastructure is well protected and works smoothly with no time to be spent on protecting them ourselves. With her 8 years of experience in Dubai real estate Market, Zeina worked closely with both end users and investors and was successful to manage a profitable and satisfactory returns even during downturn times. Zeina has also managed and coached sales and marketing teams and led them to be highly competent but mostly ethical and customer focused. Zeina is proficient in identifying a good investment opportunity and offer it to clients and investors making sure that their best interest is well preserved and their investment is safe. Guadalupe Garcia is a Real estate Professional with a strong background in sales and marketing. She recently joined Ray White as a Support professional, with all her previous knowledge and experience in Sales and Marketing she enriches herself helping the Sales team to feel at ease with most of their tasks taken care. 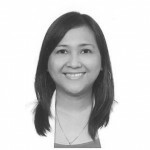 Guadalupe’s 12 years of sales experience, 10 years of which was achieved in the Philippines as a business owner, makes her highly adaptable in the industry and public relations. 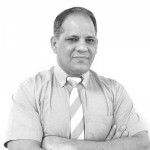 With over 10 years of experience in Real Estate industry in U.A.E with multi national real estate companies, Faisal Ali shah has worked in every aspect of the real estate field representing various high net worth individuals and corporates in Sales, leasing and property management of single units and bulk deals. Faisal’s past experience in construction and interiors provide an added advantage in evaluation of the property and assessing the market trends. He has also worked in a number of projects with the developers in preparing the project feasibilities and Sales and marketing strategies, devising the most suitable prices and payment structures. 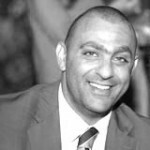 With this exposure in Real Estate as a Senior Property Advisor and with an Immense knowledge in Customer Service & Marketing Navid proved to be an adaptable person understanding your property and investment choices and needs. With thorough knowledge of the current market trends and foreseeing the development of Dubai and particularly a few demarked areas Navid has a complete plan for your Entry and Exit, weather it is an End User or an Individual investment or a Company Investment. RERA Certified. His area of expertise Jumeirah Lake Towers (JLT). 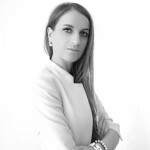 Viorica Chiper – Smart, Dynamic, Patient, Professional and a very Motivated Property Advisor, has graduated in the field of Finance and Banks Academy of Economic Studies – Chisinau Moldova. With this Finance knowledge backing her, she takes the Dubai Real Estate Advisor’s profile to a next level, Advising her Investors or End users the Geographical approach of where to get the best Return on Investment. Although she specializes in DIFC and Downtown but has immense experience of Sales and Leasing throughout Dubai. With over 3 Years of Experience she stands tall in her forte. 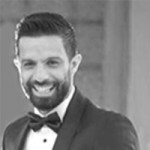 which graduated from Lebanon, Joe believes in the quality of work, with the use of his Sales & Marketing skills. His 12 years of Management past experience helped him to make it efficient in the right track of Real Estate. Specialist in Off plan Properties But not limited to. He is researching different locations and areas to obtain leads and develop new business opportunities in order to reach good quality of sales. Joe is an Arabic, French and English Speaker. Or call him on his mobile +971 52 906 8479. 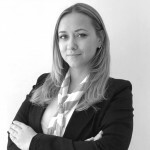 Laura is an Australian born, London raised super enthusiastic individual covering the Sales & Leasing remit in Dubai. 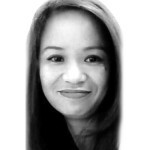 She is highly approachable, with a positive attitude towards her work and especially her clients. She always maintains a high-level of standard to make the process smooth for all parties involved with any transaction. Laura prides herself in being an honest, straight-talking broker – she feels as if the market has too many ‘one deal’ agents and approaches all clients with an intent to create long-lasting business relationships, rather than just a ‘deal orientated’ mind set. Laura has several years of Sales experience in the high-end London property markets, ranging from Off-Plan developments, to Grade 2 listed houses, Victorian/Georgian style developments, auctions and new contemporary builds. She has also worked extensively in the City of London with clients from leading Top 5 organisations within Relationship Management division.